Menus and prices are available upon request. 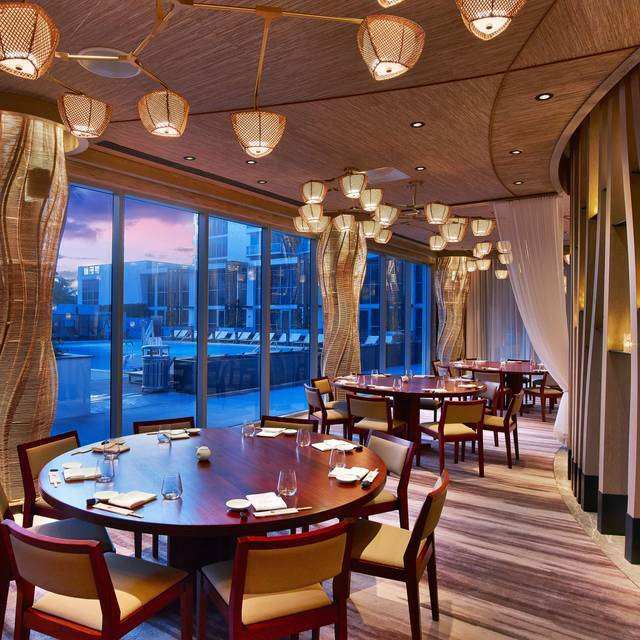 Nobu Miami Beach is available for semi-private and private events, in addition to off-premise events. Please note that any party of 13 or more will be required to dine with a set menu. It is recommended to call in advance for large party reservations. Confirmation is available one year to the date. Please contact miamibeach.events@noburestaurants.com for more information. 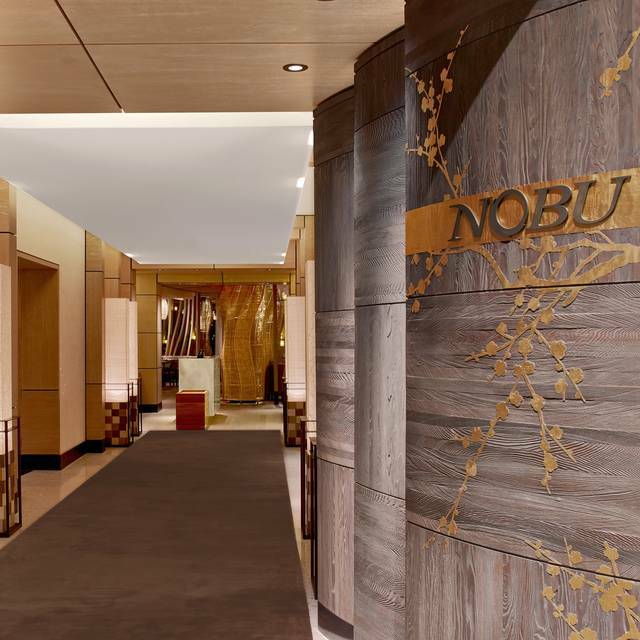 The Miami outpost of Nobu, the world renowned Japanese chef recognized for pioneering a new style Japanese cuisine, brings a burst of excitement to the iconic Nobu Hotel Eden Roc. 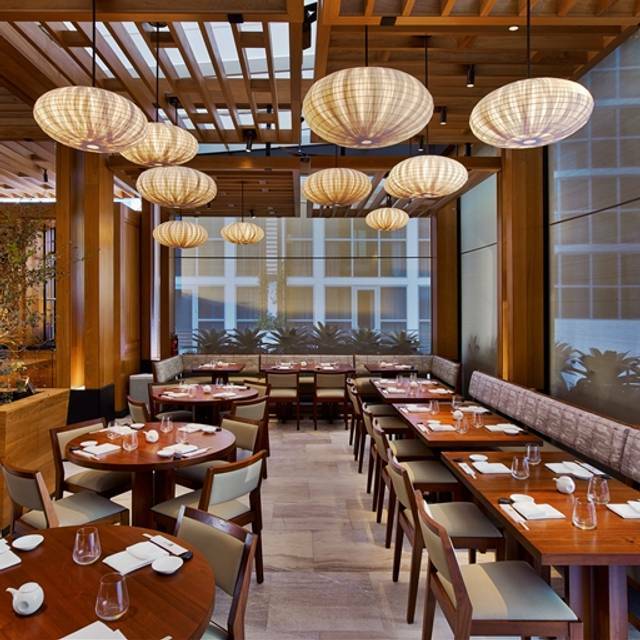 The menu features Chef Nobu Matsuhisa’s signature dishes, such as the Black Cod Miso & Rock Shrimp Tempura, as well as Miami favorites like the Tai Butter Lettuce & Tenderloin Yuzu Truffle. Omakase or tasting menus, offer a memorable opportunity to savor the restaurant’s many distinctive flavors. 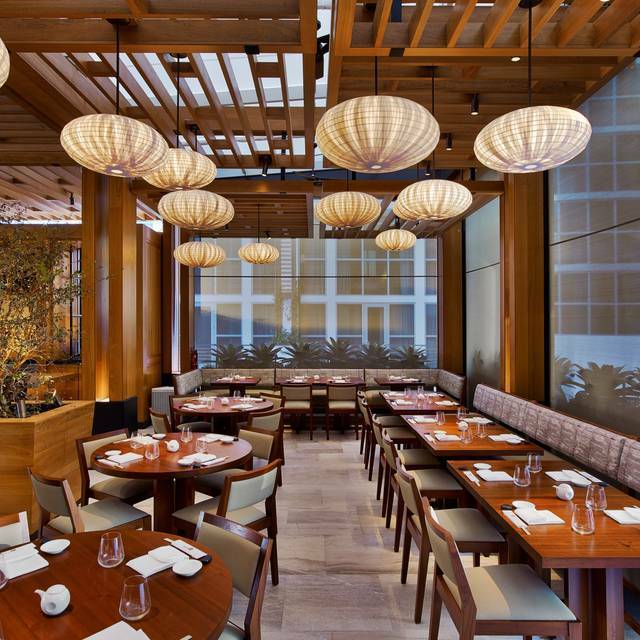 Celebrate Mother's Day at Nobu Miami. We will be offering our full a la carte menu. Book your reservations today! It is always a good selection !!!! Not good,would not recommend to anyone.Sushi’s dry and very very bad. The only one food which is always great in every Nobu is the balck cod. 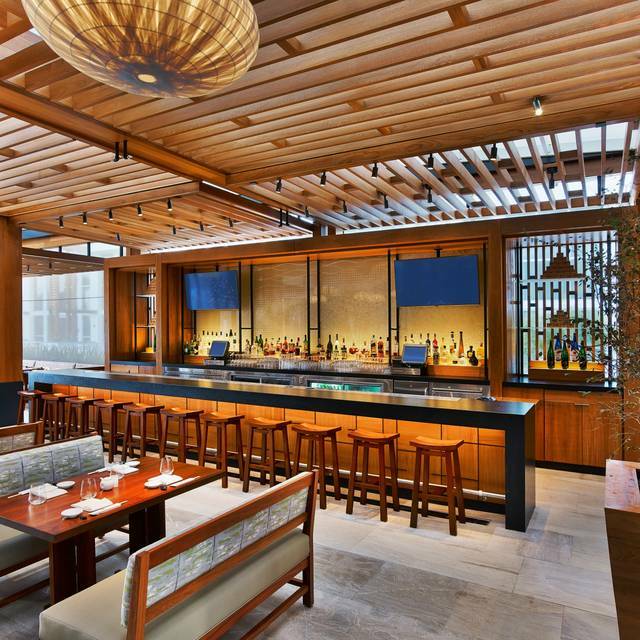 New location inside of Nobu Hotel/Eden Roc is much better than old Shore Club location. Great atmosphere with light and better sized seating compared to old location where every table was right next to the other. Lots of children eat here so avoid for business or romantic dinners. Felt like an all inclusive resorts with all the kids laying on the floor eating or on electronic devices. Top class! Loved every bite. Service great and attentive! I have not been able to stop talking about this restaurant. The food is AMAZING, or waiter was the BEST and the atmosphere was great! I will be coming back!! I’ve been to a lot of Nobu restaurants. The staff here was condescending and really ruined the experience. The food was excellent! It met all our expectations. The service was absolutely fabulous from the moment you walk in and throughout dinner. Our server made perfect recommendations for us and we will definitely come back! An amazing dinner. Food was excellent & service was amazing. 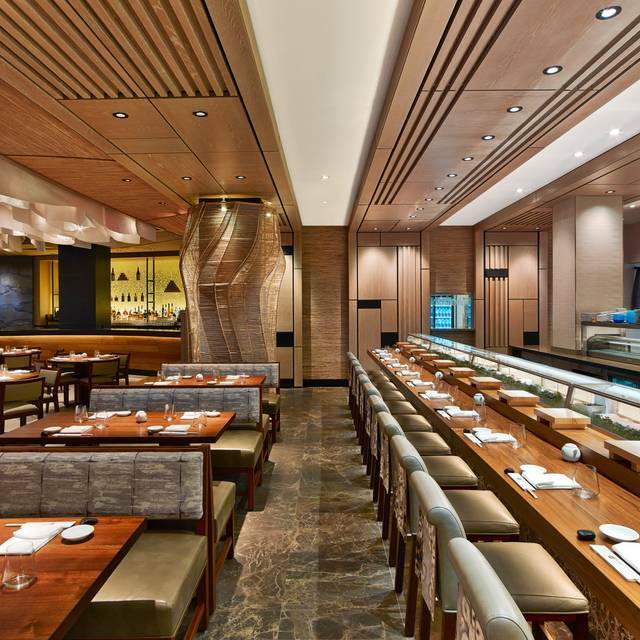 Hugely over priced and the standard of the food and the service far below other Nobu restaurants. Even their signature black cod the could mess with. So overcooked and tasteless. A real dissapointment. Excellent food. We love Nobu and have been to Nobu in several cities. Service here was disappointing. Perhaps because the service charge is automatically included so the wait staff has no motivation to work for the tip. We were very surprised that the waiter was absent from most of our dinner and we had to flag him down for each course that we ordered. It was almost laughable but the incredible food made up for it. 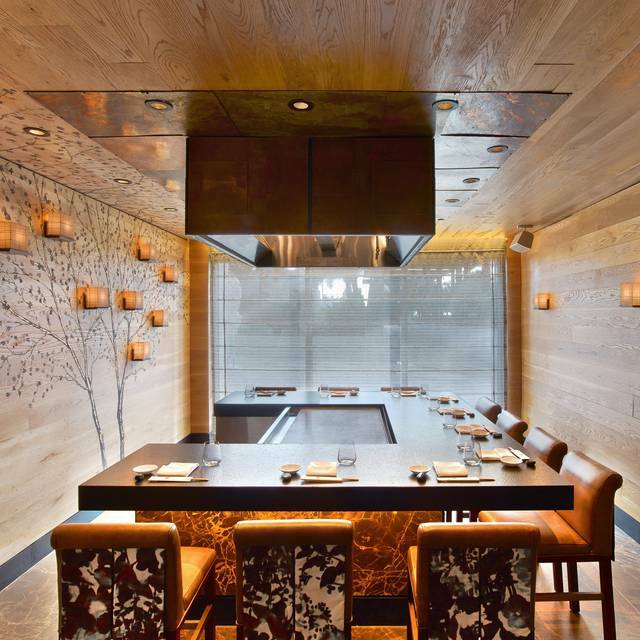 NOBU is a guarantee all over the world and the Miami branch is not an execption. The service is excellent and make sure to ask your waiter his/her favorite dishes. Daddy/daughter weekend away dinner!! Service exceptional, sushi FRESH... overall great night!! This was just a fail in the management of the tables. They sat two large groups of extremely loud, obnoxiously drunk 20-somethings next to us. They should have sat them away from the rest of us being that they knew each other. The food was amazing tho! Although it took 20 minutes in between each course of the Nobu experience me and my friend ordered, each course was delicious. For what was included, it was great! The drink, tho, weren’t anything to write home about. Don’t expect the intimacy, vibe and style of the exquisite Malibu or glamorous London restaurant. This place feels like a combination of a dark Vegas hotel and a sports bar, with TVs on above the bar. Restaurant feels somewhat dated. But if you don’t mind this, food and staff are terrific. Our server, Clay was amazing and every server was so knowledgeable about each dish! Start to finish, the Nobu Signature menu was incredible. Thank you, Nobu Miami! 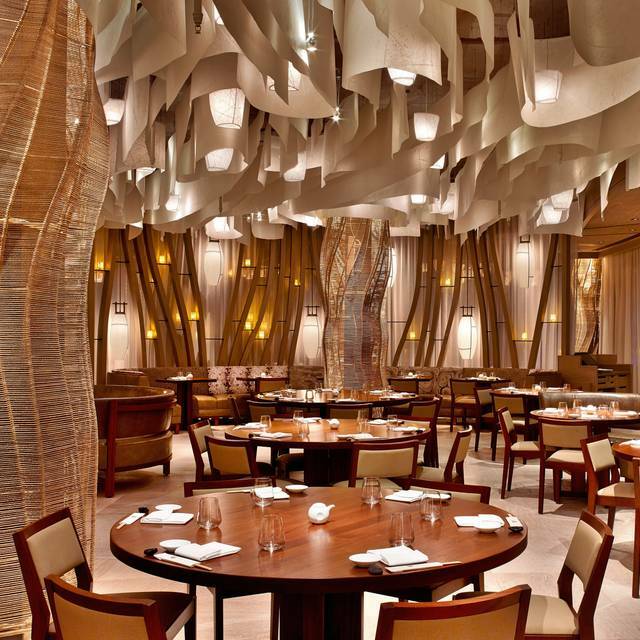 Nobu Miami has a wonderful ambiance. The food and service was outstanding! I’ve been to various Nobu across the globe, Nobu miami was great 👍🏻 Nobu never disappoints, delicious dining experience. 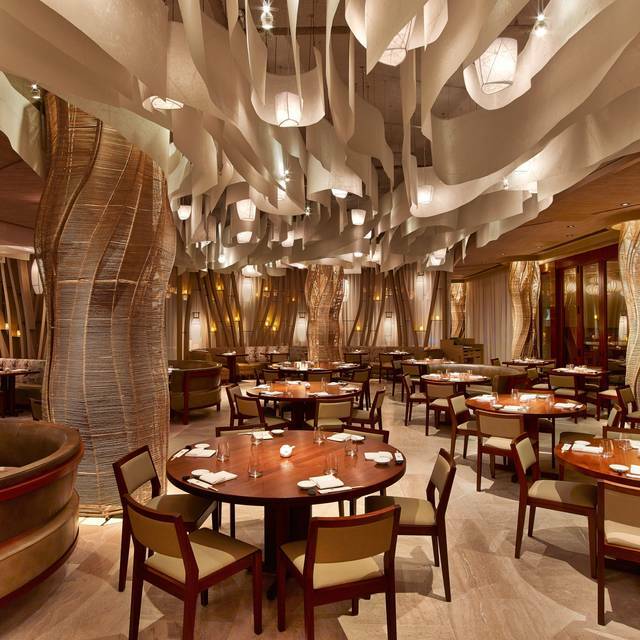 Nobu is still a great experience but the food and decor are getting a little dated. The food was delicious, the atmosphere comfortable and intimate even while seated at a banquette. Our server was on top of her game, anticipating what we needed almost before we asked. The food was underwhelming, particularly for the price. We were prepared to be amazed but found both the menu and the execution of the plates to be on the boring side. There was nothing innovative or outstanding about anything we ate. The restaurant was also out of uni the night we were there. For a sushi restaurant of this caliber, not having uni available is very disappointing. Our cocktails were good and the wait staff was terrific although our server tried to sell us hard on miso cod and jalapeño yellowtail, neither of which interested us as serious sushi eaters. He also sold us hard on the cooked sea bass which arrived over cooked and dry. The food, unfortunately, left a lot to be desired. It seems Nobu is resting on its laurels and reputation of yester years. We will not return or recommend it to others. The food was outstanding and loved the yellow tail sashimi and the Beef In shashimi style. The black cod in miso was the best I have had ! Excellent ambiance , good food , friendly staff . Good food but doesn’t live up to the hype. This restaurant was overpriced, even for a Nobu. Further, an automatic 18% gratuity is added on, then tax is added on top of that. I didn't appreciate having an automatic gratuity added to my already outrageous bill. The brussels sprouts were... just leads. About the equivalent of three whole sprouts all fluffed up - three bites at most. The setting was spectacular. Hats off to your interior designer! We loved the decor, especially the gold oversized lamps. As far as the food goes our taste buds were tango dancing out of control. The restaurant is gorgeous but we were underwhelmed by the food, especially given the price. The food was average with a nice ambiance. The Malibu location is so much better. Definitely overrated especially given the pricing.